Hi Libor, can you introduce yourself to our readers? How have you come across Rebelle? 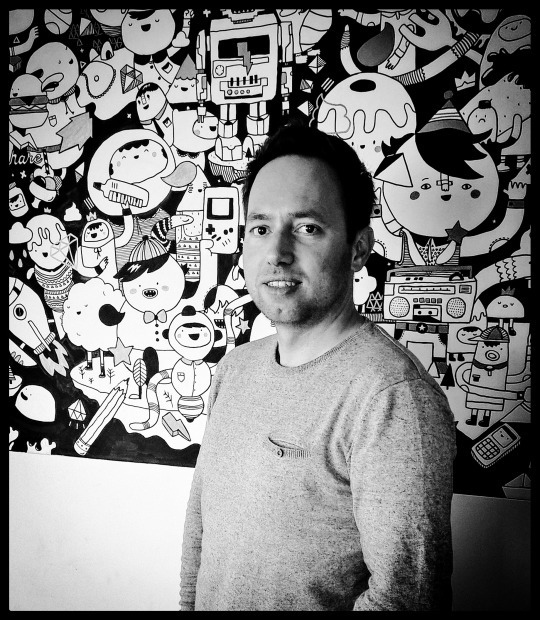 One of my colleagues Mato Hanschild who is 2D artist and concept designer showed me this wonderful application called Rebelle. 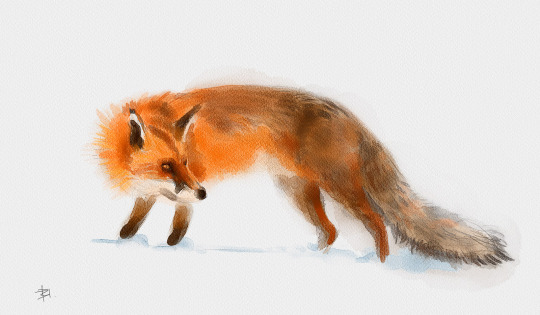 After that I fell in love with its brush engine for watercolor painting. 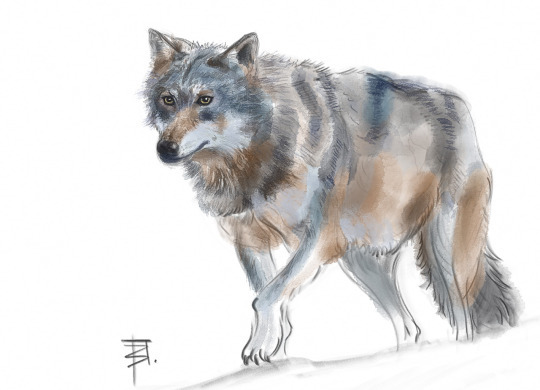 I was amazed because I’ve never seen such good simulation of the real watercolor in computer, moreover with such an ease… There were few tries by other developers but not as good as Rebelle! I liked user interface at first glance - for me it’s really important when I approach something new. By the time using it I’ve also realized how interactive the actual painting session is and that it really matters how fast and which way you use ‘Tilt’ and ‘Blow tool’ to your advance and to pump up your creative juices in you! The color leaks and abstract shapes can boost imagination like hell. :) It’s really a different experience on desktop with Rebelle than with any other painting apps. That’s probably why I’ve been hooked to it instantly. Nothing is fixed and final, your brush strokes develops according to various conditions on the canvas which is so unusual in common digital painting software. We believe there are people interested in working this field reading this interview. Can you describe us how your typical project looks like? Sure, usually we firstly get brief from the director of the TV commercial who tells us his vision approved by the client in advance. We prepare storyboards according to the screenplay and then boardmatic (video edit from still images used in the storyboard). We also breakdown the whole project to a smaller parts / tasks so we know what will be necessary to build. After creating the props and characters, animators do layout animation from which come up a 3D animatic. It’s a good place to make changes in edit/animation because it doesn’t hurt much in terms of work needed. When everything works in this stage, animation is polished to a final quality, lighting and shading artists can fine-tune visual aspects by outputting series of images as an animation. Then the images are processed by compositing artists who do retouches, post effects and final color grading. It can be said that this repeats again and again till the images meet the director’s/client’s vision. After that it goes to a sound postproduction for sound effects and music score. Final broadcast output is prepared for TV screening meeting their standards of the format. Eallin - company you work with had to deal with a difficult task - to create a video spot for charity organization Plamienok. Could you tell us more about process of video making? 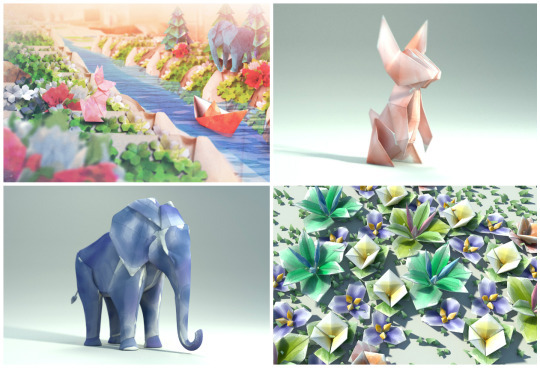 Particularly in this project there was a need to replicate paper origami like stylization containing children painting on top of it - something like watercolors done by kids in kindergarten. For most of the job we used Maya 3D animation package and Rebelle painting app for texturing 3D models with a help of other apps for image editing etc. When we knew we would need watercolor look on 3D models I’ve instantly envisioned using Rebelle for that. It was simply so much easier and quicker to paint models like that not using standard tools like Photoshop or scan the real thing and retouch it afterwards… It showed as a good choice and the whole process was straight-forward and easy. We just flattened out the 3D models to a canvas, painted on it in Rebelle and exported back to 3D animation package. It took some experimenting to get desired look and design but it was really fun to do also thanks to an abstract form of textures in this particular project. We were able to finish this project in about 8 weeks in the team of just 3-4 artists plus director and some production stuff behind the project. What was the biggest obstacle during this project? It’s always a big fight to put everything in the show and to not cross the screen time - that’s very common in TV commercials projects. You put everything what’s in the script but it looks funny because it happens so fast. Then there was a lot of water effects for the river element and as with any other simulations it took quite a time to get it work as needed. We used Houdini VFX package for that. We needed to develop a way of folding the paper boat „character” which wasn‘t that easy in 3D animation compared to real life. We reverse engineered the way paper is folded to get a classic paper boat model, break down it to the pieces and rig it using skeletal system and finally animated it in the right order. We’re lucky Plamienok gave us a lot of freedom and trust! So our thanks go to them for that. Do you have any ‘Behind-the-scenes’ story you can share with us? Thank you for your time, Libor! Thanks for the opportunity to share my words with readers! I wish you all best with your great Rebelle!